If you don't visually like your copy of Windows, and you think that the folders and icons should have a different aspect, Colorflow could be your savior. 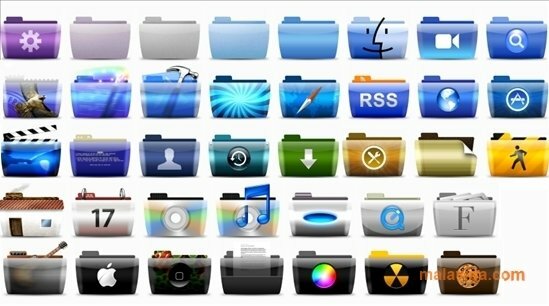 This pack of more than 50 icons will allow you to give your computer a much fresher touch as well as allowing you to customize it a lot. 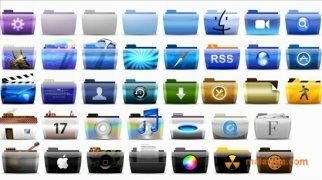 The icons are linked to several folders, even though they have been customized according to the Mac OS X style, the well known Apple system that takes so much care with its design and its visual quality. 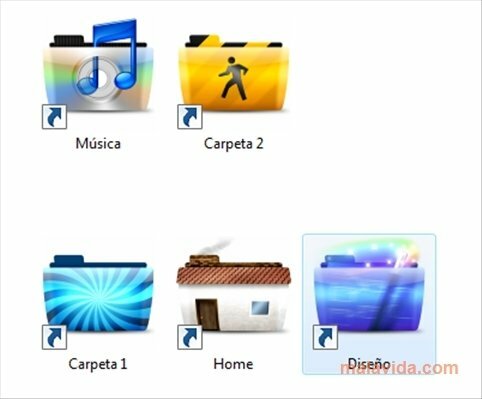 Changing the icons of any folder to have those of Colorflow will make any Windows improve its visual appearance. All the icons follow the same design guidelines, so if we change as many as possible, the homogeneity of the icons will improve the visual style of our operating system quite a bit. Even though many of the Colorflow designs have been developed to be used with Mac OS X applications, the truth is that they can be included in Windows without any problems, because even though the icon is inspired on a motif similar to that of a program's icon, it can be perfectly used for any Windows software with similar features. As a positive aspect, the author encourages people to download the icons and modify them and share them once again.